He wrote cheques from the charity’s account and lodged them into his personal account, but said the money was not to be kept for personal gain. A JURY HAS convicted a travel agent of stealing over €18,000 from a charity he founded for terminally ill children, following just 42 minutes of deliberations. John, also known Con, Murphy (66) of Church Road, Killiney, Dublin was found guilty at Dublin Circuit Criminal Court of writing cheques from the account of the Children to Lapland Appeal and lodging them in his personal account. Murphy’s defence barrister claimed he used his personal account for many business transactions related to the charity and his now defunct travel agency United Travel. He said there was no intention to keep the money for his personal gain. Prosecuting counsel Garrett McCormack BL characterised this position as The Father Ted defence. To quote Dermot Morgan, they’re trying to say ‘the money was simply resting in my account’. Murphy had pleaded not guilty to four counts of theft between June and July 2010 in the Dublin area, totalling €18,643. Following conviction Judge Patrick McCartan remanded Murphy in custody until his sentencing on Monday. The trial heard Murphy’s full time job was operating United Travel, a travel agent based in Stillorgan, which flew a route to Lapland. In 1987 he devoted one of these flights to sending terminally ill children who were taken from hospitals around the country. This became the Children to Lapland Appeal. United Travel operated until 2007 when it lost its trading license from the Civil Aviation Authority because it had incurred losses of €630,105. The court heard that the directors, including Murphy, loaned the company over half a million euro but that it never regained its license. The Children to Lapland Appeal was run by Murphy out of the same office. Reynolds, defending, said that the charity bought the flights to Lapland from United Travel but could never pay it back. He characterised this as United Travel “subsidising” the charity. Reynolds said the charity owed United Travel and Murphy €68,000 shortly before the money was stolen. He also said a sum of €4000 was lodged back to the charity’s account after the thefts. Counsel said it was a “good charity” which sent thousands of terminally ill children to see Santa Claus in Lapland over the years until it went into liquidation in 2012. McCormack, prosecuting, said it was still theft even if the money was repaid later. In his address to the jury Judge McCartan agreed with this view, stating that theft occurred if the owner of the money was deprived of it for any length of time. Comments are closed as the case is still before the courts. 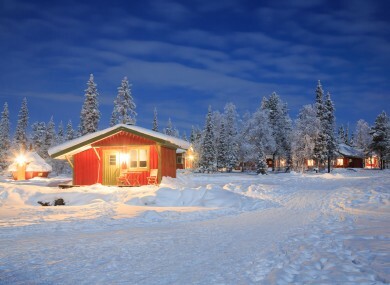 Email “Travel agent stole €18k from Lapland charity he founded for terminally ill children”. Feedback on “Travel agent stole €18k from Lapland charity he founded for terminally ill children”.